Mass eruptions from the sun's corona could make it possible to see the Northern Lights in central and southern Finland Tuesday night. 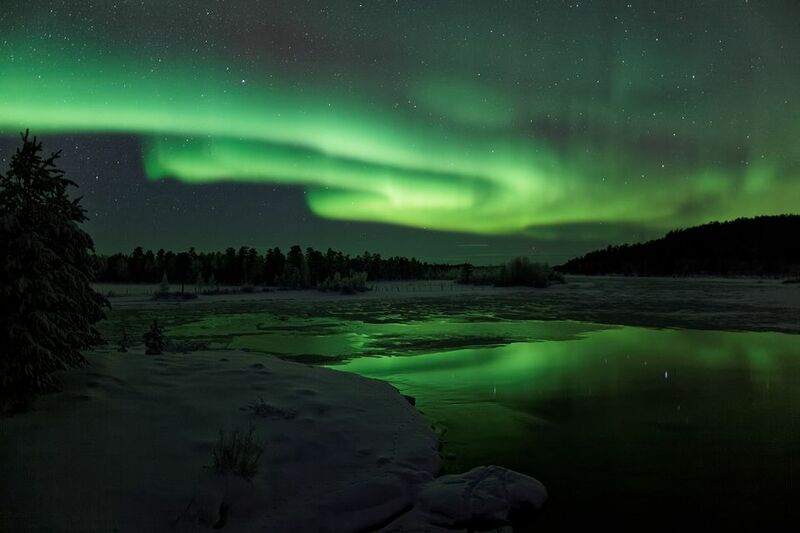 There's a fair chance that residents across Finland will be able to witness Aurora Borealis displays on Tuesday night. According to the Finnish Meteorological Institute, FMI, the country-wide visibility of the light phenomenon will be driven by particularly active solar flares. Cloudy conditions in parts of southern and central Finland were due to clear by Tuesday night, making it more possible to catch the celestial spectacle. Residents of Ostrobothnia in the west and Kainuu in the east had a chance to catch the phenomenon as early as Monday night, since rain clouds had already drifted eastward on Sunday night. Not surprisingly, people up north stand the best chance of observing the dancing lights, as skies in the region will be quite clear this week. Yle meteorologist Matti Huutonen said that Tuesday night's clear conditions will create far better opportunities for Aurora hunters. The FMI's website indicated that there is a similar likelihood of seeing the light spectacle on Wednesday and Thursday. The eruptions of the corona -- the gas ring surrounding the sun -- began last Friday and were expected to reach the earth's atmosphere on Monday or Tuesday. The eruptions may cause mild geomagnetic storms. According to FMI, once they are over, space weather should return to normal. You can follow aurora activity on the FMI's website (in Finnish).